How has Canada created space for incorporating and acting on the Sustainable Development Goals? Climate change is real, it is happening, and it is now. It is a global issue that has been looming over our shoulders for decades, and we have been slow to react to its presence. However, as the incidences of extreme weather continue to increase, as precipitation patterns worldwide continue to shift, as biodiversity is lost and urban areas grow, we begin to see that our inaction must change. If we are to weather the coming decades of change, what must we do, and how can we do it? In Part one (find it here) of this series of three, I briefly discussed the challenges of combating climate change from a global perspective, and there are many; what is required is a series of steps that would necessitate a complete overhaul of current world systems, including agricultural, energy, and transportation. The Paris Climate Agreement outlined 17 sustainable development goals with the ultimate aim of creating a world the ensures all can live long, happy, healthy lives now and into the future. While these goals are a huge step forward, it is much easier to discuss them than to put them into actual practice, and therein lies the problem. All of the systems that we rely on have immense impacts on our environment, and simply ignoring the negative impacts of a global civilization is not an option. We are fast approaching many tipping points, and the time to create real and lasting change is now. Adversity requires action, so what are we doing? What is Canada doing to create space for a sustainable future? Canada has long been known as a country of rugged landscapes, pristine ecosystems, and vast tracts of untouched land. While some of these aspects may still hold true, our country is far from perfect in terms of putting forward a well-developed plan to transition into a sustainable economy. There is some speculation that Canada isn’t up to fighting climate change, and there is definitely evidence to support that. In fact, according to a recent Abacus Data survey, 1 in 3 Canadians do not believe that climate change is due to anthropogenic greenhouse gas emissions (GHG). This is a disheartening piece of information because the evidence is crystal clear; scorching summers, record-breaking floods, and devastating wildfires have become the norm in the past few years and will increase in intensity as we continue to modify the climate through GHG emissions. The important thing is to not let all of these negatives discourage you. A large part of the problem is that many Canadians feel that we have no capacity to reverse the already deleterious aspects of climate change that have only just begun to materialize. However, that is simply not true. A recent report by Canadian researchers (SFU alumni among them), named the EAT-Lancet Commission, outlines a framework for moving towards a sustainable future, and for feeding the world’s growing population. 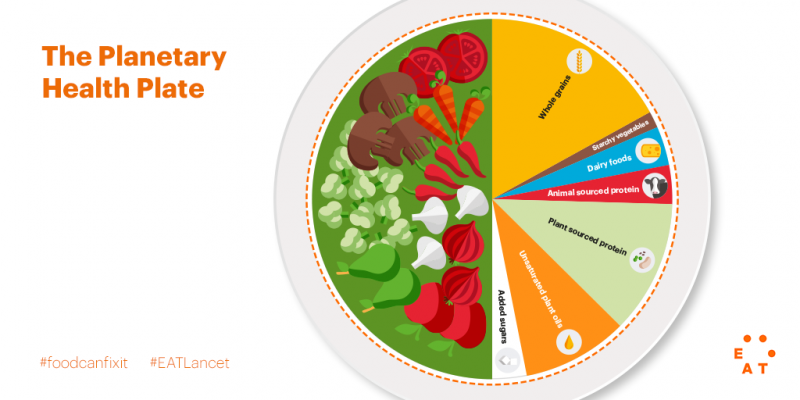 In this report, researchers highlighted how we can indeed feed 10 billion people by 2050 by transitioning to a largely plant-based diet. Such a shift, while drastic, could allow us to just miss passing the climate tipping point by 2030 by reducing deforestation, reducing agricultural water use (for feeding livestock & processing meat), and reduce agricultural GHG by up to 60%. While this commission still has many kinks (how does it apply to First Nations that live off the land, or live in areas where fresh produce is not readily available; how will it address cultural practices?) 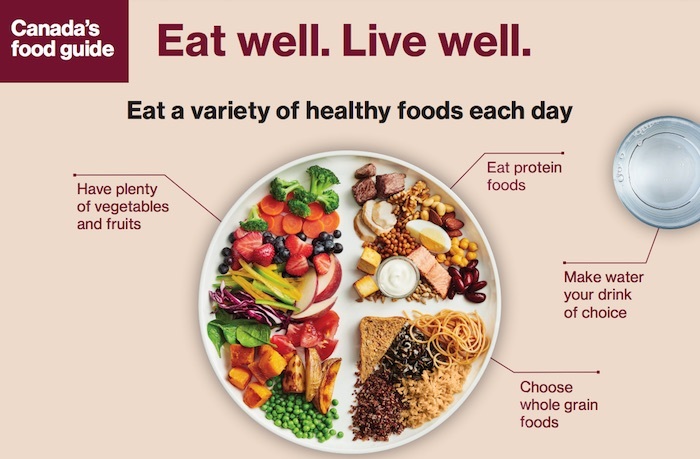 to be worked out, but in combination with the new Canada Food Guide, it is a huge step in the right direction. True, policies and support systems still need to be put in place to manage the transition into a more sustainable agricultural system, but the important thing to remember is that this is now very much in the public spotlight. However, I think that the most important aspect of this commission is that it highlights how we, as individuals, can each make a positive impact. Something as simple as switching to a largely plant-based is something that everyone can do, and it has immense implications for health, quality of life, and longevity. Not only that, but it greatly reduces your individual footprint, and allows for those resources that you would have otherwise used (indirectly or directly) for other purposes. This doesn’t mean that you have to give up meat but to instead treat it as a garnish for your meal, not the centre-piece. So what are you, as an informed Canadian, going to do? How will you become part of the solution? Curious about how other countries around the world are incorporating the Sustainable Development Goals? Stay tuned for Part 3!